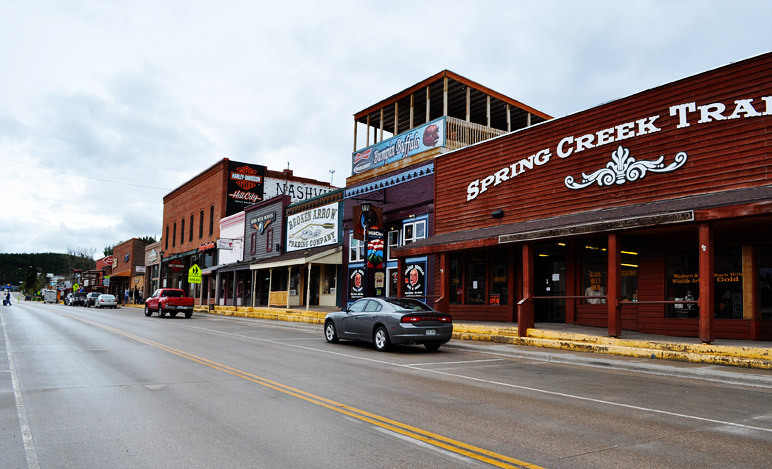 Actually Hill City was day 1, 2, 3, 4, 5, 6… I think we hit Hill City just about everyday, but I’m okay with that, because it is MY favorite Black Hills town. 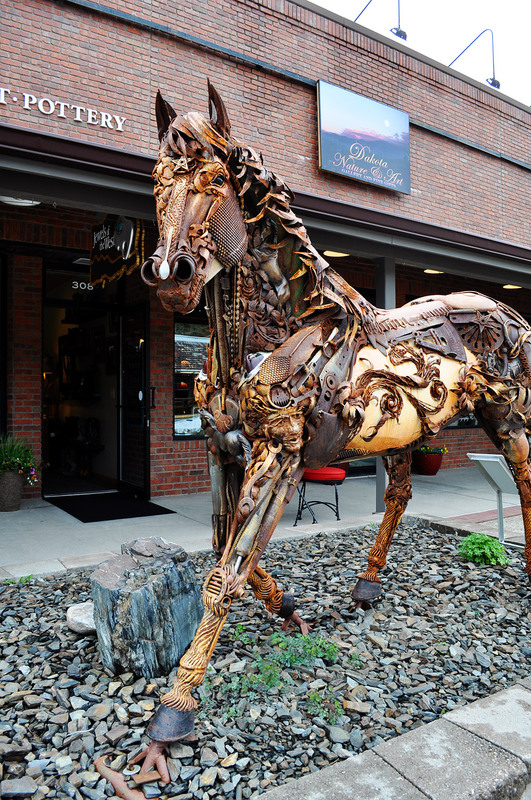 And you need to see “Iron Star” a 1400 pound horse statue made from scrap iron created by artist John Lopez. 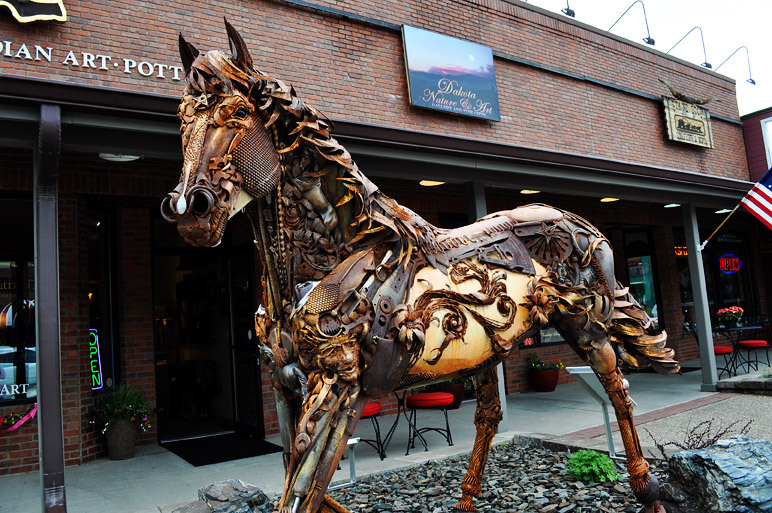 As I was taking photos, an older gentleman was circling the sculpture in silence. I asked him what he thought and he said, “It’s unbelievable, I could look at it all day.” Yes, that sums it up nicely. 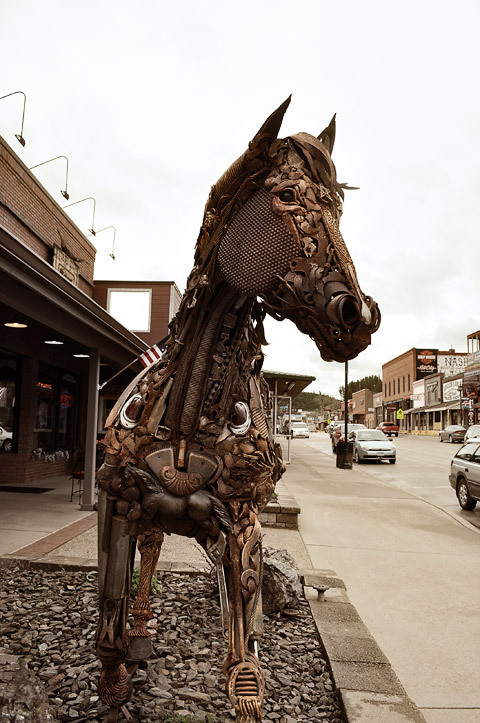 Cheers to the Hill City Art Council. 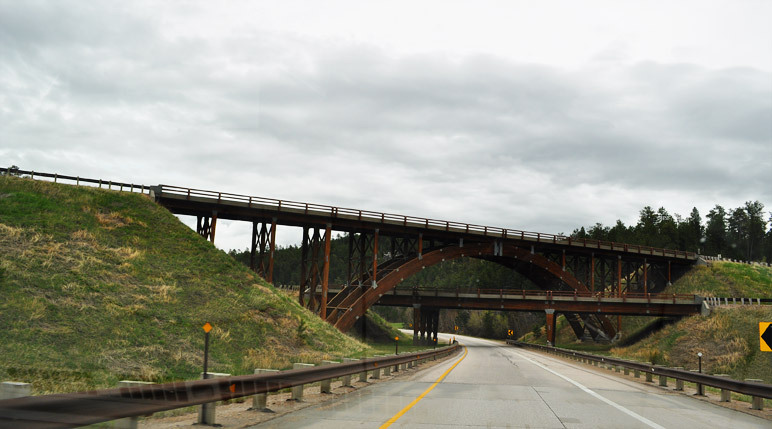 As you are driving from Hill City back to Rapid City, you drive under this massive wood timber bridge called the Keystone Wye. 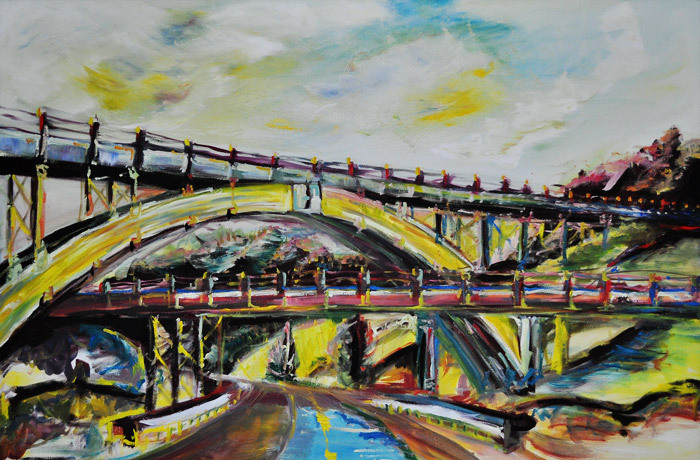 Back in college, I painted this bridge because I’m a weird bridge fanatic and I’m tempted to paint it again. You can’t just stop on the road to get this shot, you have to yell at your mom to get the camera out and have her take photos as you go under it while you slow down to at least 45 miles an hour. Not that I did that, er, well here is the photo and my college painting equivalent.